The Serra Club of Morogoro in Tanzania is grateful to the Serra Club of Kansas City in Kansas for allowing us to have presence on their website. The Serra Club of Kansas City in Kansas, as a more established Serra Club of Serra International, will assist us in becoming better able to carry out our mission of vocations to the priesthood and religious life. We also hope to inspire other area in Africa to create Serra Clubs by having them view our website to see what can be accomplished. As you will see in this photo of one of our activities, we alway dress in uniform when we are about our mission. Our uniforms are maroon T shirts with Serra International written on the back and the SI logo on front with Serra Club of Morogoro. In addition to our support of ordinations and the diocesan budget for seminarians (see column to left), we also support vocations to the religious life. 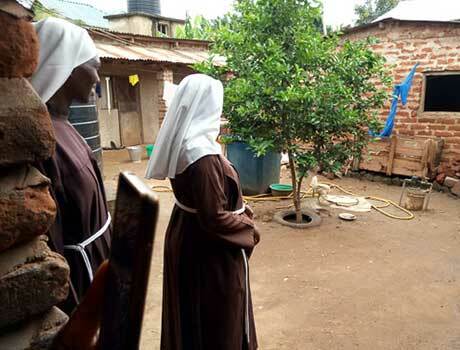 Who are the Little Sisters of Africa? The Little Sisters of Africa is an indigenous religious congregation of women established in the year 1997. The Congregation is relatively young but is growing rapidly in numbers and mission expansion due to their charism that concentrates on serving Christ through serving the poorest of the poor and conducting Catechism in primary and secondary schools. The Congregations to date numbers 96 professed sisters and 32 in different stages of formation/ training. Like St. Francis of Assisi, the Congregation economically depends on the generosity of local Christians of good will. 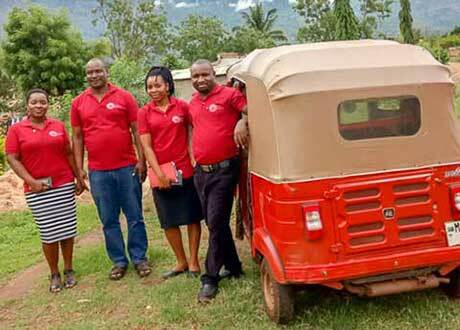 The Board of the Serra Club of Morogoro decided to be supporting the Formation programs of this Congregation as the Congregation has no income generating projects. In order to sustainability meet the financial needs of formation of sisters and combating dependency, our Serra Club of Morogoro has proposed that; together with the administration of the Congregation of the Little Sisters of Africa, we establish Income Generating Activities (IGAs) that will sustain Formation/ training needs of the Sisters in formation and those who are to join in future. Proposed Income Generating projects are; Piggery Poultry These two projects/activities will adequately generate income from sales of Chicken, eggs; Pork and extra piglets to other local people intending to start up piggery farms. The Serra Club of Morogoro Board will be supervisors of the project and so far the local Serrans/ members have locally contributed 38 % of the total funds needed to start up these projects. The unskilled labor will be provided by all local Serrans for example making of bricks and digging foundation for construction of simple pigsty and poultry house. The funds needed will be used to purchase materials for construction that cannot be contributed in-kind; Purchase of Birds and pigs to start off the projects. The Diocese is rich in faith but majority of people are living in chronic poverty. They are dominantly subsistence farmers/ peasants where by hand to mouth syndrome is the order of the day. 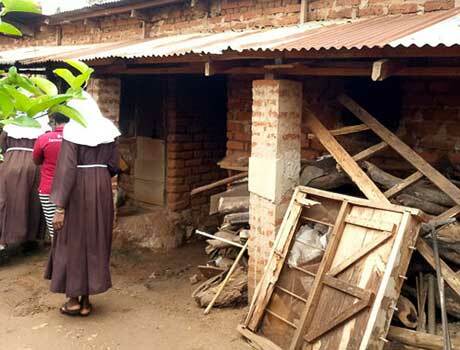 The Parishes are mostly located in rural Morogoro where Catholic Christians are in large numbers, the Priests depend on meager church Sunday collections for their survival/ livelihoods. Climate change or change in rain season has jeopardized the subsistence farming activities hence leaving people in absolute poverty as they have nothing almost to save. The rains are unpredictable to subsistence farmers leading to minimal food crop production. Floods and mass wasting on hilly / mountainous areas of Uluguru mountains are common and all these affect the economic ability of the local people/ Christians whom most of them live on mountains and adjacent to the same mountains commonly known as Uluguru Mountains. 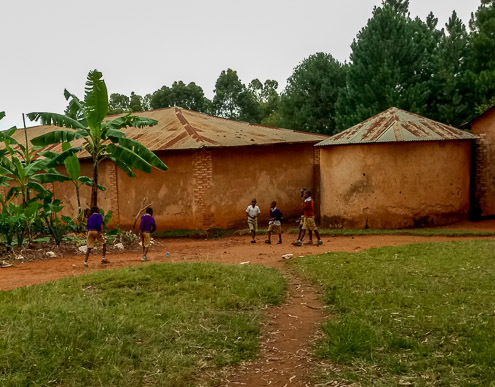 It is in this economic environment dominated by chronic poverty that THE SERRA CLUB OF MOROGORO operates. The Serra Club members are trying their level best to sacrifice, at least averagely 25% of their monthly earnings to financially support the Vocations existing in this poverty stricken society/ local communities. However the Serra Club of Morogoro resources have been outweighed by the great and genuine need of the Vocations, hence appealing to support from outside. We are hopeful that the Serra KCK will understand our Situation and render us support to co-finance some of our activities that need extra funds to be fulfilled.